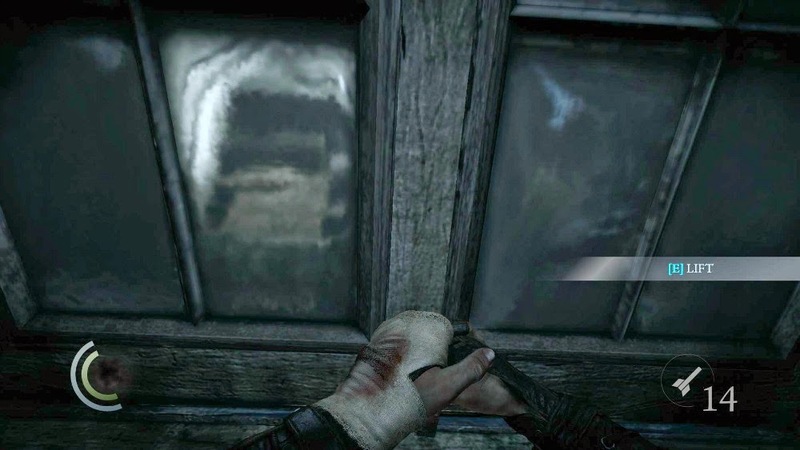 To enter a different level in Thief 4, you frequently have to mash [E] to pry open glowing windows (or lift fallen wood beams) as the game "seamlessly" loads the next level in the background. You will see this screen a lot. An "open world" is a marketing tool / level design structure where the game world is gradually loaded or "streamed" as you explore it, so that it seems like one large long continuous level. In many respects, this continuity is an illusion; the game developers built the world in chunks and the game engine thinks of the world as chunks, but players experience the chunks as they're stitched together. It's an immersionist fantasy -- of no loading screens or progress bars, of seamless transitions between worlds. But as I mindlessly mashed the [E] button on my keyboard for the 30th time to enter a different level in Thief 4, I realized that (a) this is a really bad attempt at hiding load screens, and (b) I tolerated the (brief but just as frequent) loading screens in Skyrim much better because those are honest about what they're doing. A loading screen unambiguously signals discontinuity to the player, a break between parts of the world. An open world overworld can only exist if there's an underworld beneath it, and I argue that it's okay (or better) if you clearly mark the borders because it's okay if we stop interacting with a game for a second. When do open worlds choose to be discontinuous with a menu, loading screen, or lobby? 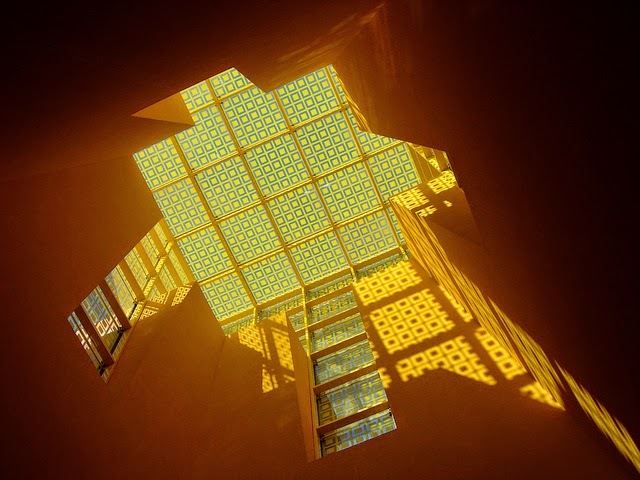 When does one wait to "enter" an interior, to voluntarily break the flow of play? In many city-wide "sandbox" games / urban crime jog 'em ups like Grand Theft Auto, geographic interiors are relatively rare and only a fraction of the buildings can be entered. When you do enter a building with a function, it's probably more likely just a dressed-up menu than a place to hangout inside, and players understand these locations as shop menus. Many of the game's few explorable buildings and setpieces are designed to be "used-up" during a mission, assuming it lets you enter the location outside of a mission at all. If you explore the game world, you will rarely find anything responsive if it's intended to blossom during a mission. 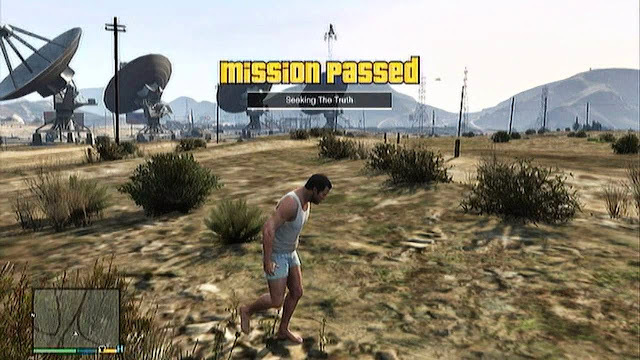 But when you "enter a mission", the game reconfigures the city geography and choreographs special events. You learn a new way of seeing or thinking about the city, and hopefully use these lessons to freestyle outside of the mission... because once the mission is over, the global "sandbox" state of the city reverts back, but hopefully you're a changed person. The playground stays the same; what changes is your mood toward play, and how much someone else structured that play. 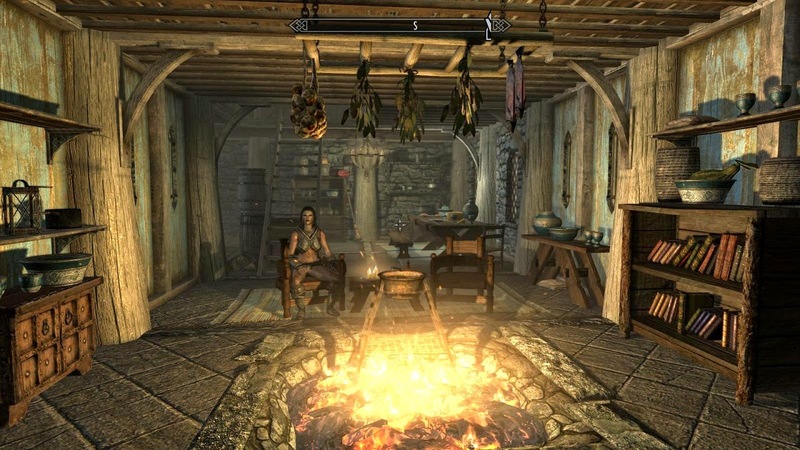 In multi-city continent-wide CRPGs / talk-and-kill manage 'em ups like the Elder Scrolls games, geographic interiors are frequent and most buildings can be entered. There are very few "fake buildings" that cannot be entered, and the central design dogma is to promote an always-on continuous simulation where everything interacts with everything. However, the geography is not continuous. Dungeons, houses, and other interior spaces in these games are stored separately in the game engine as "interior cells." The granularity of interactions here is densely-packed: in a given house there are chairs you can sit on, or beds you can sleep on, or fruit you can eat, or clothes you can steal to sell in a market outside. Most in-game events and setpieces can affect the global world state somehow, and vice versa. The two spaces interact deeply, but not seamlessly -- load screens separate the areas, and NPCs fade in / fade out across boundaries, and we learn to accept this discontinuity so that we can get on with playing the game and screaming at dragons. In multi-continent world-wide MMOs / social economy optimizer puzzles like World of Warcraft, the world is so massive that geographic interiors are irrelevant and all areas are technically part of the overworld. This world's multiplayer socially-distributed nature means that geographic exploration is irrelevant because everything has been mapped, everything has been seen, and if you don't take advantage of keeping up with the metagame then you are mathematically less fit of a player. You can fly to places or teleport to places all the time, space and time freely compress themselves for your convenience; high level MMO players take full advantage of that. 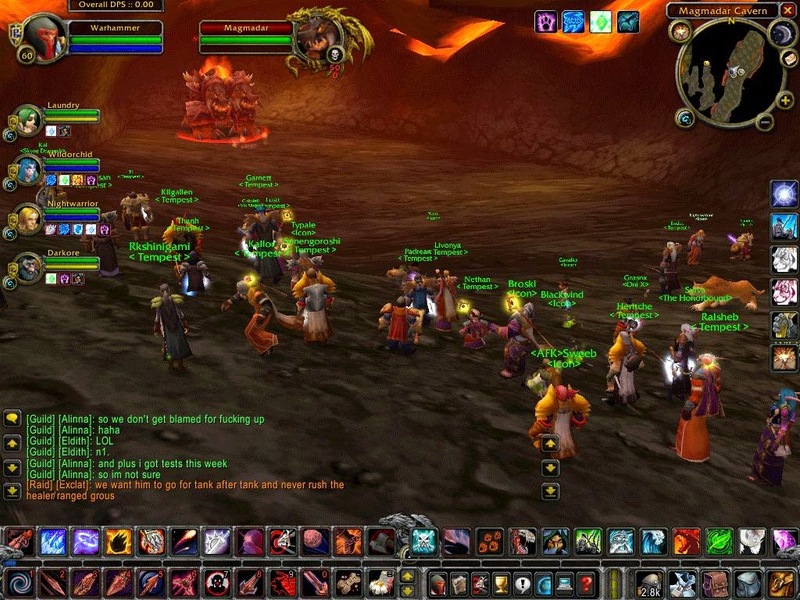 MMOs exposed their realm-server-instance machinery to help players understand why the game would lag / stutter / disconnect, for the same reason a loading screen clearly communicates why the game will ignore you for the next few moments, or for the same reason why a giant "mission" menu suggests why you can retry or replay the mission and witness the same exact series of events again. Players understand these concepts natively as video game constructs, not as the result of a magic wizard temporarily freezing you or resetting the fabric of space-time. There is no ambiguity and the game doesn't lie (and lie poorly) about what it is. You trust your players to resolve any dissonance between what's part of the authored diegetic experience vs. what was actually interesting. ... Unless you're Thief 4, and you want the player to mash [E] for the privilege of loading the next level, because you think somehow that tedious ludodiegetic dressing reinforces the "immersion" of what it feels like to be a magic ninja-thief. Yes, it's a good thing that you're not Thief 4.